Facebook’s Graph Search has been released and of course we’re extremely interested. It seems Graph Search is more of a recommendation engine than a search engine, giving you results based on your friends, colleagues and acquaintances interaction with Facebook pages related to a specific query. For searcher’s it’s somewhat of a new take on the traditional search and for businesses it’s something that has to be prepared for. Graph Search is currently in Beta test version, the roll out is imminent in the next few weeks or months as Facebook indexes more and more of its past Likes, check-ins and other interaction information. So, how do you get on the right foot for its coming? The concept is quite a logical one – we have friends, many of our friends have similar likes and tastes to us and we trust their offline recommendations. So, why not create a search result based on the interaction of our friends with the results of our specific searched for queries. For businesses, such results mean high conversions, as people are likely to go with the recommendations of their friends. This means that there are immense possibilities. It also means that those with a lacklustre, or god forbid no presence, need to do something about it now. If you’ve taken the time and effort to invest in your local search engine optimisation attempts in recent times, then really investing time into Facebook pages is a necessity. This is because the Graph Search will be available from introduction to local business pages. The benefits of this will be most seen in SoLoMo searches when people are on the go and looking for nearby places. 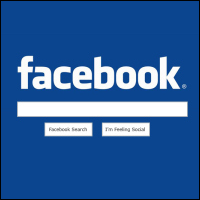 – Ensure that your address and other information are correct to ensure they show in local searches – especially important as a large number of people access Facebook via mobile. – More Likes, shares and check-ins for your business ensure that your business will appear in more results. – Bing is aiding Facebook with the search results for the Facebook Graph Search, so looking into your Bing SEO attempts and how you rank could be an important factor in improving ranking. Improving this could be a great way to climb up the rankings. – More friends and Likes will make the difference, countering the recent changes to the newsfeed algorithm and people’s questions over use of Likes and followers on the site. – Strengthening your relationship with fans through sharing will be central to success. As we all receive person specific results in Graph Search it is important to build up strong connections. So, encourage more sharing from your page. Graph Search could provide significant opportunities if there is a large take up. Once you get the basics right initially you should have a huge change to build up a fan base and in the long term succeed when Graph Search hits the mainstream.